Mary has been part of our SERVPRO family since 1992. Staring out as part of our production staff, Mary has collect much experience and skills throughout the years she's been working. Now she manages all our office staff, overseeing estimates and billing, discussing losses with insurance agents, and controlling all our documents from different losses. Sue has been our Franchise's secretary since 1999. Over the past years our customers have been delighted with hearing her voice over the phone and seeing her beautiful face when they walk in the door. Her dedication to our company is what makes her a great employee. Jamie has been working in our office since 2014. Within the couple years of experience she has learned many different skills, including writing up estimates for customers and insurance agents, putting together commercial and residential sketches and educating future customers about our company. Justin Wandtke is one of our Water Restoration Managers. He has been working with us since 2011. Throughout the years he has collected a lot of experience and the following certifications from the Institute of Inspection Cleaning and Restoration Certification (IICRC): Water Damage Restoration, DryBook, and Aerial & Scissor Lift Operator Certification. Justin's handwork, and determination to do the best he can on each job is why he is one of our valued employees. Joe is one of our Water Restoration Managers. He has been growing with our company since 2008. In those years he has achieved the following certifications from the Institute of Inspection Cleaning and Restoration (IIRCR): Water Damage Restoration, Applied Structural Drying, and DryBook. Jose Gonzalez is on our production team. He has 18 years experience, within those years he has achieved many different skills. Including but not limited to cleaning and deodorizing of carpets and upholstery, and odor removal in different situations. He is hard working, caring, driven, a team player, and a great fit for our SERVPRO team! Anthony is one of our Water & Fire Restoration Managers. He has been working with us since 2016. Throughout the years he has collected a lot of experience and the following certifications from the Institute of Inspection Cleaning and Restoration Certification (IICRC): Water Damage Restoration, DryBook, and Aerial & Scissor Lift Operator Certification. Anthony's hardwork, and determination to do the best he can on each job is why he is one of our valued employees. Quinn Donnelly is on our production team. He has about 2 years experience, within those years he has achieved many different skills and learned many new things to become a very skilled and efficient worker. Including but not limited to cleaning and deodorizing of carpets and upholstery, and odor removal in different situations, as well as Water Restoration. He is hard working, caring, driven, a team player, and a great fit for our SERVPRO team! 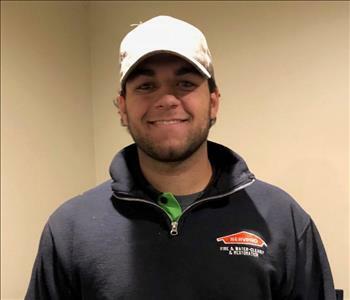 Josh joined the SERVPRO team in 2015. Josh is very skilled in many areas including but not limited to Water Restoration, Fire Restoration, & Demolition. Josh is also IICRC Certified. 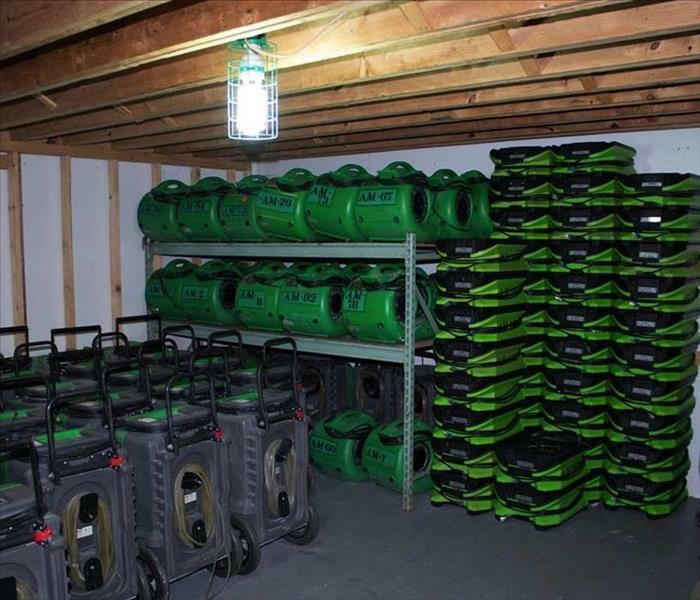 He is a very skilled and versatile technician that we are proud to have on our SERVPRO team!